For those who want a nose-job (but don’t actually want a nose-job) then this one is for you! With the rising popularity of non-surgical rhinoplasty, you can now transform the shape of your nose in just minutes. Here’s how. Contouring the nose is one of the fastest growing specialist non-surgical cosmetic procedures. Always wished you could just get rid of that small bump on the nose or fix a small deformity without having to go through expensive plastic surgery? Well, actually now you can. 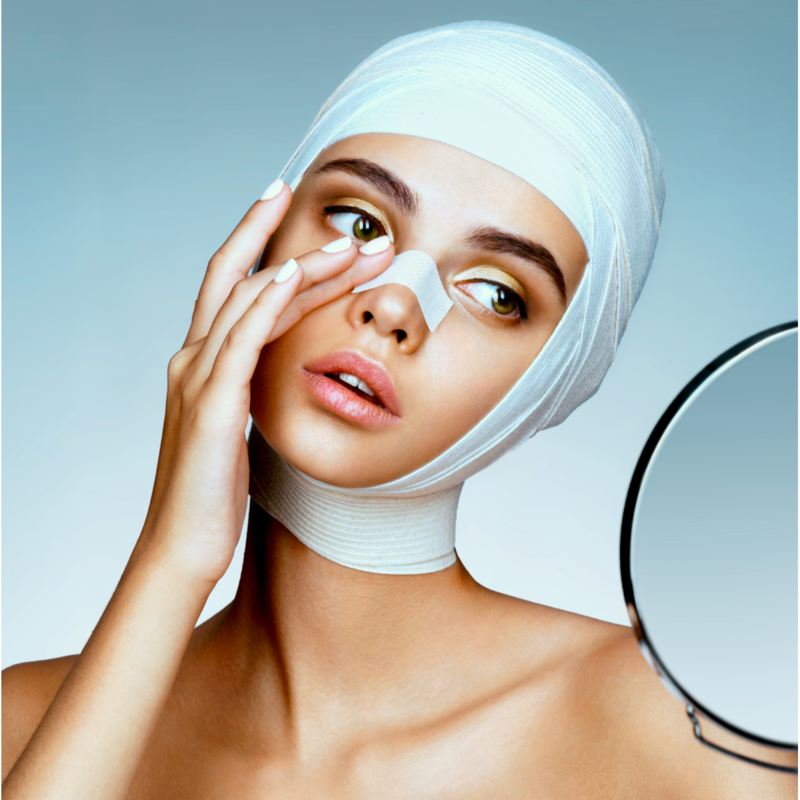 Previously non-surgical rhinoplasty used to be used temporarily to aid contour defects, particularly during the post-operative healing period while swelling was an issue. However, as Hyaluronic Acid fillers have become more stable and longer-acting, they are now being used as a primary modality to re-shape noses, not only in patients who have had previous surgery but by patients who have not had any primary rhinoplasty. And many are using them long term, avoiding Rhinoplasty. Rhinoplasty is a big deal. With cosmetic consumerism at all-time highs, changing public perception that Rhinoplasty is not quick or instant like getting your anti-wrinkle injections is important. It can’t be emphasised enough that Rhinoplasty is major surgery to your face and patients need to be counselled about the lengthy period of swelling (up to 18 months) before you see a final result. Plus the need for diligent taping as well as accepting the 15% chance you are like to need a revision procedure done in the future. 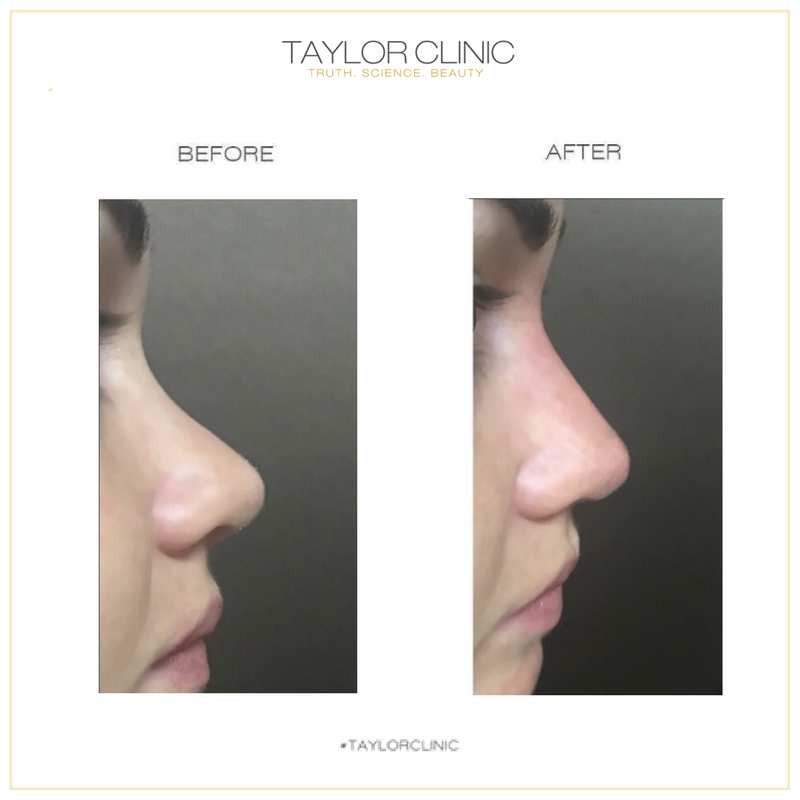 I recently caught up with Dr Tobias Pincock at Taylor Clinic, Facial Plastic Surgeon who explained that he actually spends most of his day talking people out of having rhinoplasty. Non-Surgical Rhinoplasty is performed by experienced cosmetic Doctors and takes less than an hour. 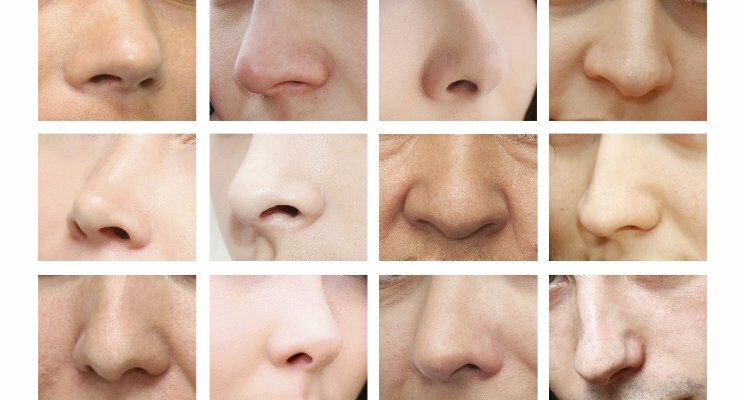 Not only is it a good solution for some patients but also a great test run for patients who want to try a new shape of the nose before going down a surgical pathway. Especially given the complication rate also is extremely low and the down-time is minuscule compared to the surgical operation – basically 1 day of taping as opposed to weeks and weeks of taping with surgery. Dr Pincock’s particular expertise is in surgical and non-surgical rhinoplasty, having performed the procedure for over 8 years and with specialisation in this procedure particularly in the Asian population. Dr Pincock’s attention to detail and ability to create in particular maneuvers such as up rotation improving projection and creating a long standing stable bridge have been things that have not been able to be performed with fillers previously, but with a newer range of fillers, this is a reality for up to 4 years. *after consultation and assessment for appropriateness for this procedure. Dr Suzan Bekir (MBBS FRACGP) is a GP, medical educator and co-creator of Australian Allergy Centre, collective.care, Dr Ink Tattoo Removal and Taylor Clinic. I love creating, curating + collaborating. You can socially stalk me oninstagram@doctor.suzie, facebook or @twitter@doctorsuzie, listen to my medical podcasts or reach out on email drsuzie@collective.care. If you would like to see me professionally at our Bella Vista clinic please call 1300 003 223 for appointments or click here.